The authors, Jay Pestrichelli and Wayne Ferbert, are the founders of an Investment Advisor - ZEGA Financial. At ZEGA Financial, Jay and Wayne manage their client's assets using the same principles outlined in the book, Buy and Hedge. ZEGA's clients can feel comforted knowing that their money is managed using the discipline of the Five Iron Rules outlined in the book. 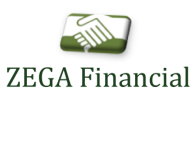 To find out more about ZEGA Financial, click the Learn More button to be re-directed to the ZEGA Financial website.